Charles Fleischman brings over 25 years of experience in healthcare technology and diagnostics, including leadership of public and private companies. He served as president, chief operating officer, chief financial officer and director for Digene Corporation (now Qiagen), where he was responsible for building state-of-the-art R&D and bio-manufacturing facilities and helping change medical practice and standards of care in cervical cancer screening and prevention. 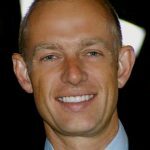 He has also served on the boards of Cord Blood Registry (now AMAG Pharmaceuticals), Assurex Health (now Myriad Genetics), One Lambda (now Thermo Fisher Scientific) and Dako A/S (now Agilent Technologies). He is a director on the boards of the American Alpine Club and St. John’s Hospital Foundation. Chuck holds an AB from Harvard College and an MBA from the Wharton School at the University of Pennsylvania. Michael Berkow joined the Coast Guard Investigative Service in October 2012. 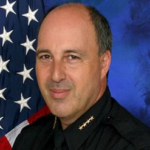 With more than 30 years in law enforcement, Mr. Berkow is an experienced police executive with extensive knowledge of both the domestic and international arenas. He is a published author and guest lecturer on a variety of topics including; community-oriented policing, integrity, and the operation of internal misconduct systems. Michael is the former President of Altegrity Security Consulting, a business unit of Altegrity that provides innovative solutions for public safety, private sector, and government agencies in the United States and around the world. He is also the former president of the Kroll Security Group unit focused on operational, technical, management and training solutions for security and public safety. Additionally, Michael possesses vast experience in global policing and security solutions, having served in high-level positions in both the U.S. and international law enforcement communities, including the London Metropolitan Police Service following the 2005 London Bombings and was further retained to examine leadership training and operations within the department. Through multiple assignments, he has been instrumental in efforts to advance the principles of rule of law in Somalia, Haiti, Jamaica, Kenya, Bulgaria, Hungary, Romania, Tanzania, Uganda, and Yemen. In 2006, he was a member of the Expert Group for the Implementation of the United Nations Convention Against Corruption. Michael has served as a Deputy Chief in charge of the Professional Standards Bureau and Chief of Staff with the Los Angeles Police Department and was responsible for all anti-corruption, misconduct, and use of force investigations, and was also heavily involved in counter terrorism strategies, leadership training and development. Michael is a 2000 graduate of the Johns Hopkins School of Education with a MS in Community Development. Partners/Bain & Company white paper, The Financially Sustainable University. Tom is a Phi Beta Kappa graduate of Johns Hopkins University where he was a Rhodes Scholar candidate and a varsity athlete. He also holds an M.B.A. from Harvard Business School where he was awarded the Goldsmith Fellowship. Dr. Lisa Egbuonu-Davis, Vice President, Global Patient Outcomes and Solutions, Sanofi, serves as the strategic lead for building patient centered support programs, services and tools that enhance medication adherence and improve healthcare outcomes. Lisa utilizes expertise in data analytics and behavioral science to catalyze the development, measurement, adaptation, and amplification of solutions that improve outcomes of interest to patients and their families, providers, and payers. She is particularly focused on people living with diabetes, cardiovascular disease, immunologic disorders and other chronic conditions and on improving the health care provider/patient interface to enhance patient self management and health. Lisa is a seasoned pharmaceutical executive with expertise in outcomes research, product development and commercialization and public health. She has been an entrepreneur, catalyzing the development of low cost “disruptive” medical devices to promote public health and a strategy consultant, advising biopharmaceutical companies on product and service development and on evidence generation strategies to support value. She has served as Pfizer’s Vice President of Medical Affairs and Vice President of Global Outcomes Research, developing evidence from clinical trials, observational studies, and “real world” analyses to support product value assessment throughout the product lifecycle as well as customer-based assessment of both products and services. She led the expansion of global outcomes research and created Pfizer’s US field based medical team. Additionally, she has created innovative patient focused, multi-sector partnerships to promote appropriate product utilization, health care access, quality and outcomes in populations ranging from maternal and infant health to the elderly. Lisa has a B.S. in Biology at M.I.T. and an M.B.A. in health care management from Wharton; she earned an M.D. and M.P.H. (epidemiology) degrees from Johns Hopkins, completed her pediatric residency at Children’s Hospital of Philadelphia (board certified in pediatrics) and a Robert Wood Johnson Clinical Scholar Fellowship at the University of Pennsylvania with a focus on health services research and assessing the impact of Medicaid program changes on population health. John Erickson, chairman of Retirement Living Television, rejected the traditional concept of retirement living and in 1983 struck out on his own to create Erickson Retirement Communities for people over 62 years of age. The company has 19 full-service, campus-style communities in 10 states that are home to more than 23,000 people. The Erickson Foundation has invested millions in research to improve the lives of people around the world. In addition, the foundation works to develop inner-city children into leaders. The Foundation’s NorthBay camp, located on the Chesapeake Bay, is a unique educational retreat with a state-of-the-art environmental education center, focused on teaching and experiencing environmental science. 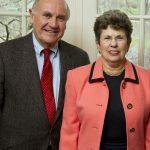 In April 2004, he helped establish the Erickson School of Aging, Management and Policy, which is located at the University of Maryland, Baltimore County. John holds a bachelor’s degree from St. Bernard’s College and a master’s degree from Catholic University. 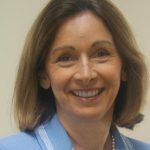 Leslie Falconer is co-founder and trustee of the Alabaster Fund, a private family foundation through which she and her husband research and invest in international programs that support increased access to education and opportunities for entrepreneurs. She serves as co-chair of the Nexus Education and Entrepreneurship Lab and is on the board of ISSA (the International Step by Step Association) and the International Child Resource Institute (ICRI). Leslie, holds a B.A. in Literature and International Studies and an M.S in Early Childhood Education from Erikson Institute. Dedicated to strengthening the ecosystem around education and family systems, she and her husband have built an impact investment portfolio that intersects education, economic development and environmental sustainability through investments in microfinance, reforestation, sustainable real-estate development, edtech, as well as education publishing. In 2007, through an acquisition, she took over the leadership and redesign of the Experience Early Learning publishing company that produces early childhood resources, including the Mother Goose Time curriculum. In the last 10 years, she scaled the company to be an international brand with a mission for increasing quality and access to early education. Falconer has authored numerous children’s books, co-produced over 200 children’s songs, and written articles appearing in both early childhood education and philanthropy journals. As an international speaker and trainer, she has presented on topics related to education, innovation and next generation philanthropy. On her downtime, Leslie loves to be outside hiking and enjoying beautiful Traverse City, Michigan with her husband three active daughters. Allovue, an education resource planning platform for K-12 schools and districts, which helps education administrators connect spending to student outcomes. She was recognized as one of the 2015 Forbes’ 30 Under 30. Previously, Jess has taught in schools around the world, includingThailand, South Africa, Philadelphia, and Baltimore. As a Teach for America corps member, she taught middle school humanities in Baltimore City, where she led her students to achieve the highest reading scores in the school and received her M.A. in teaching from Johns Hopkins University. 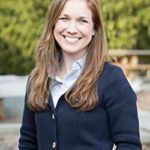 After working with ABS Capital Partners, Jess recognized a market opportunity to improve resource allocation in education and launched Allovue, which was accepted into the Accelerate Baltimore 2013 cohort at concept stage. During the past year, Jess has driven the growth of the company by developing the prototype, attracting a talented team, securing pilot contracts, aligning with national strategic partners, drawing the interest of venerated edtech venture firms, and raising seed capital. She was featured as one of The Baltimore Sun’s 2013 “Women to Watch” as a leader in education and Baltimore Magazine’s 40 Under 40. Last July, she was a featured panelist alongside prominent education leaders at the Education Technology Innovation Summit in New York City. Her writing and/or photography has been published in What Weekly, Changing Media, Skillcrush, and Women 2.0. 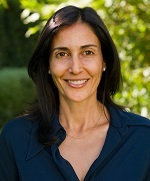 Leslie Gilbert-Lurie is a writer, lawyer and philanthropist, whose highly acclaimed memoir, Bending Toward the Sun, was published by Harper Perennial in 2009. She spent much of her early career at NBC, where she oversaw NBC Productions and the comedy division, co-wrote television episodes and co-founded an in-house production company, Lurie-Horwits productions. She has consulted for USA Network and Disney Television. Prior to her work in television, Leslie was a member of the law firm of Manatt, Phelps, Rothenberg and Tunney, and served as a Ninth Circuit Court of Appeals Law Clerk. She currently co-chairs Human Rights Watch’s Los Angeles committee, and was recently elected to its international board of directors. She is a founding board member, acting board co-chair and past board chair of the Alliance for Children’s Rights, a legal rights organization for abused, neglected and foster youth. In addition, she serves on the board of directors of the Skirball Cultural Center and Fostering Media Connections. She also is a member of the Pacific Council on International Policy. She recently served as vice chair of the Los Angeles County Blue Ribbon Commission on Child Welfare, which led to widespread child welfare reform. From 1997 to 2011, she was on the Los Angeles County Board of Education, where she served three terms as board president. Sheldon Glass holds an M.Ed. from Johns Hopkins University and taught in the Department of Education for 12 years, introducing five courses. He is a founding and current member of the National Advisory Council. He has been on the faculty of the Department of Psychiatry since 1968, is on the board of directors for Friends Research Institute and is president of the American Society for Adolescent Psychiatry. He is the national medical director of MedMark. Sheldon has been board-certified in pediatrics, adult psychiatry, adolescent psychiatry and addiction medicine. 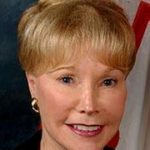 Nancy Grasmick served as the first female state superintendent of top-ranked Maryland Public Schools for 20 years. Expectations and performance for adults, schools and children significantly improved under her leadership and have received national attention. For five years in a row, Maryland was ranked number one in the country by Education Week. 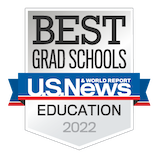 In a 2012, Harvard Kennedy School researchers published the report, “Achievement Growth: International and U.S. State Trends in Student Performance”, that cited: “Maryland won the gold medal by having the steepest overall growth trend” in student performance among U.S. states between 1992 and 2009, the years examined in the study. In 2012, Nancy was appointed Presidential Scholar for Innovation in Teacher and Leader Preparation at Towson University. Her focus on teacher and leadership preparation is transforming the way that teachers deliver classroom instruction and engage students in learning. Using the most relevant research and knowledge about motivation, technology and what children must know and be able to do in the 21st century, a new wave of reform is underway. 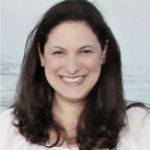 In addition to her work at Towson University, she is a faculty member at the Kennedy Krieger Institute co-directing an innovative fellowship program to prepare administrators as leaders in special education. As one of her final acts as state superintendent, Nancy secured a coveted $250 million Race to the Top grant from the U.S. Department of Education. She holds a doctorate from John’s Hopkins University, master’s degree from Gallaudet University and bachelor’s degree from Towson University. 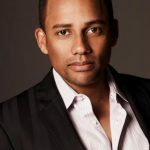 Hill Harper is the author of three New York Times bestsellers: Letters to a Young Brother (named a Best Book for Young Adults by the American Library Association), Letters to a Young Sister, and The Conversation. The recipient of five NAACP Image Awards for literary achievement and acting, Harper starred on the hit television drama CSI:NY as Dr. Sheldon Hawkes. 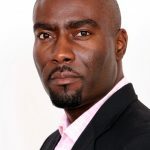 He has also appeared in numerous prime-time television shows and feature films, including The Sopranos; ER; The Game; Fresh Prince of Bel-Air; Lackawanna Blues; He Got Game; The Skulls; In Too Deep; The Nephew; and The Visit. He is the founder of the Manifest Your Destiny Foundation, dedicated to empowering, encouraging and inspiring under-served youth to succeed through mentoring, scholarship and grant programs. Hill holds a bachelor’s degree from Brown University (and was valedictorian of his department) and a JD from Harvard Law School. He also holds a master’s degree with honors from Harvard’s Kennedy School of Government. 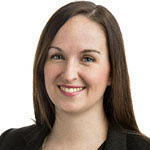 Emilie was appointed Project Manager-Safety & Operational risk in January 2012 at BP. She is charged with the consolidation of the central technical standards libraries of the Oil and Gas firm, specifically addressing the issues of data accessibility and configuration management. Prior to joining BP, Emilie served as a Project Manager for the Smart Grid and Advanced Metering Programs at CenterPoint Energy. During her 10 years with CenterPoint, she held various roles of increasing responsibility in Substation Engineering and Operations. Before that, she was a consulting engineer engaged in energy and defense projects. Emile has been a member of the JHU Sheridan Libraries Advisory Board since 2014, and previously served as a JHU Leadership Fellow. Emilie graduated from Johns Hopkins University in 1995 with a BS in materials science and engineering, and she graduated from Texas A&M University in 2007 with a Masters in Engineer with a specialty in industrial and systems engineering. Emilie currently lives in Houston, Texas with her husband Adam. 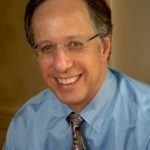 Howard Mandel, MD, FACOG, is a practicing obstetrician gynecologist who has dedicated his life to the practice of high-quality health care and assuring access to such care. 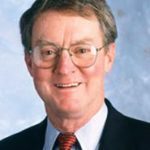 He has held positions on and chaired boards of directors of several not-for-profit and educational institutions, served on numerous advisory panels and councils, and has received recognition for his leadership locally, statewide and nationally. He currently serves on the National Physician’s Council for Health Care Policy, served on the “Obama for America Health Policy Advisory Committee,” was an advisor to Senator Biden on health care issues during his presidential campaign and is an adviser to Senator Mark Warner. Born in Brooklyn, Howard holds degrees from Johns Hopkins University and New York University School of Medicine. His exposure early on to the medical care of the indigent at Johns Hopkins Hospital and Bellevue Hospital inspired him to defend those who could not help themselves. As a volunteer at the Saban Free Clinic in Los Angeles for three decades, he has advocated for equal access to health care for women, children, the homeless and the working poor. In addition to teaching and lecturing on topics such as ob/gyn emergencies, umbilical cord blood banking, menopause, women’s health and health care economics, he has been recognized for his leadership and public service by the State of California, County and City of Los Angeles, Johns Hopkins University (Distinguished Alumnus Award 2015), Jhpiego (The Elyse Bila Ouedraogo Award 2015) and Oakwood School (Charles Haas Award 2011), among many others. He lives in Los Angeles with his wife Dr. Susan Mandel, and has two children, Spencer and Mallory. Eric Paquette has spent 20 years as an executive in the motion picture and television business, including the last five years as a senior vice president of production at Sony Pictures Entertainment’s Screen Gems division. Prior to joining Screen Gems, he held senior executive positions at Metro Goldwyn Mayer and Phoenix Pictures. From 1993 to 1996, he was an associate producer for CBS News, where he worked with anchors Dan Rather and Connie Chung on breaking news stories, social issue features and hourlong specials. He also has been deeply involved in working with disadvantaged children and youth through New York Cares, LA Works, Liberty Hill Foundation, and Fulfillment Fund. A former member of Senator Obama’s national finance committee, Eric currently serves on the executive committee for Human Rights Watch and on the Democratic National Committee’s national finance committee. He lives in Los Angeles with his wife and two daughters. 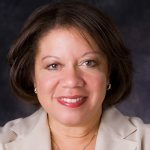 Maxine is vice president of international business development of Baltimore-based Phillips Foods, an international manufacturer, retailer and restaurateur of innovative flavors and food solutions. Prior to joining Phillips Foods, she was an educator for nearly three decades, serving as a classroom teacher with extensive experience in curriculum development, teacher supervision and staff development. She taught in a variety of locales, including on a Navajo reservation boarding school and on the East Coast, with rural, suburban and urban student populations. She holds a BA in special education and an MA in educational administration. She also earned certifications as an elementary principal and special education supervisor, including the National Board Certification in Early Childhood through Young Adulthood/Exceptional Needs Specialist in 2000. The developer of a curriculum for summer accelerated learning programs targeting at-risk youth, her publication credits include articles in Exceptional Children and Teaching of Reading. She and her husband reside in Annapolis. Jeff Weissglass is an advocate and advisor dedicated to political bridge-building and learner-centered education. He serves on the board of trustees of the Convergence Center for Policy Resolution and on the advisory board of Convergence’s Education Reimagined initiative. He is former president of the board of education at Oak Park and River Forest High School in Oak Park, Ill., and served on the board of the Collaboration for Early Childhood in Oak Park. He also served as board chair on both the Project on Civic Reflection and More Than Money. Jeff had prior careers as a corporate lawyer in New York and as a community development consultant with South Shore Bank in Chicago. 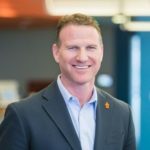 Jeff has a master’s degree in public and private management from the Yale School of Organization and Management, a JD from New York University School of Law and a bachelor’s from Johns Hopkins University. Courtney is the co-founder and CEO of Torsh, an education technology company that seeks to drive significant gains in student success by improving instructional effectiveness. Torsh harnesses the power of video, actionable data and expert coaching to increase access to high-quality growth opportunities for all educators that are accessible at any time and from anywhere. 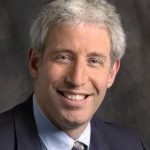 Prior to his role at Torsh, he served in a number of senior executive roles at Interactive One, a wholly owned subsidiary of Radio One, and at AOL Time Warner. While at AOL, he was responsible for structuring and negotiating cross-brand marketing agreements with the AOL Time Warner family of brands, as well as leading AOL’s e-commerce initiatives in the financial services and insurance categories. Before joining AOL, he was an associate in the New York offices of Loeb & Loeb, an entertainment law firm. He is an active member of his community, as well as a 2010 CUP Fellow, which is awarded to business executives with a strong interest in facilitating social change through public service. Courtney is a graduate of Columbia University School of Law and Oberlin College where he received a bachelor of arts degree in politics. He resides in New Orleans with his wife and family. 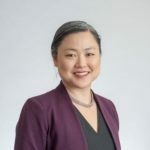 Natasha Yamaoka serves as Director, Ancillary Revenue and Omnichannel PMO for Delta Air Lines, focused on cross-divisional delivery of commercial Ancillary Revenue initiatives, and managing/delivering the Omnichannel Strategy. Natasha started with Delta in 2009 and has held positions in Partner Development focused on work with Delta’s equity partners; Distribution Strategy, a team that worked on merchant fees, third party online channels and the systems that allow travel professionals to access Delta products; Corporate Strategy; and Finance. Prior to Delta, Natasha worked in the steel industry for 13 years. She started her steel career at Mitsui & Co. (USA), Inc. in New York City. After eight years, she moved to the Cleveland, Ohio area to join the Sales and Marketing management team of The International Steel Group (ISG). She worked on multiple M&A integrations with ISG, Mittal Steel and finally Arcelor Mittal. Natasha graduated from Hopkins in 1994, with a B.A. in International Studies and also has an M.B.A. from the Fuqua School of Business at Duke University. As a Hopkins alumna, in addition to her work through the Alumni Council, she has served as her class Social Chair for Reunion and in Second Decade Society as a Career Committee Co-chair. Natasha has been dedicated to the development of Hopkins graduates in preparation for their entry into the job market and has consistently strived to improve and encourage post-graduation opportunities for students.